DYNAMIC FORCES® - TEEN TITANS #23.1 TRIGON CGC GRADED 9.8! 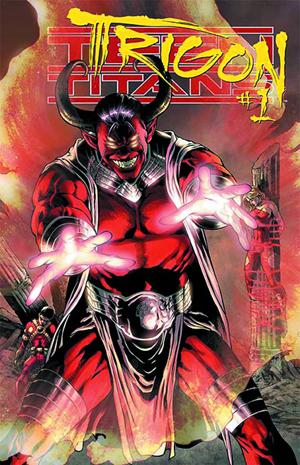 He is the ruler of six kingdoms of pain, suffering and agony-but the one world that evades Trigon is Earth. Trigon's influence has been spread across worlds by his sons, but it wasn't until he conceived a daughter of Earthly origin that the monster finally had an heir who could aid his quest. Now, with all the world's heroes missing-is this the final victory of Trigon? FINAL COVER MAY VARY.